Traditionally ERP systems have not been very user-friendly. It started with a lot of analog systems. And still, many systems do not allow you to utilize your “screenestate” (screen real estate) in a way that helps you to be most efficient. In our opinion, the user-friendly interface is something that really sets Acumatica apart from other vendors. One feature that was released in 2018 and got great feedback was the Side Panel. 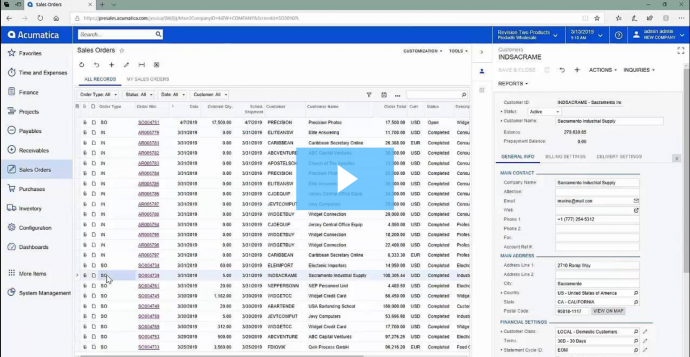 Now in Acumatica 2019 R1 it is even better. The Side Panel displays a view of the details of a row on an inquiry screen without leaving the screen. Like an on-screen drill down. You can minimize or maximize it depending on how much visibility you need. Acumatica has added an expand/collapse button so you can even expand the side panel across the whole screen if that would be helpful when viewing a certain record. 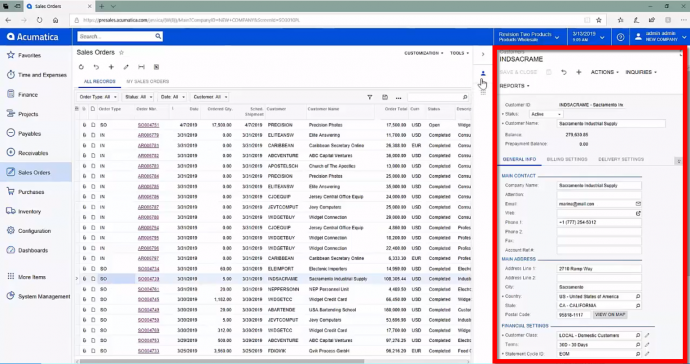 In the Acumatica 2019 R1 release they greatly enhanced the performance of this feature. There used to be about a second or two delay (an eternity in the internet world), with a loading icon, while that panel caught up, but now it happens instantly. One thing we like about Acumatica is that they focus on allowing users to view the screen in any way that is helpful for them. You can see data in the way that makes the most sense for the process or activity you are working on. You can really make the screens your own.